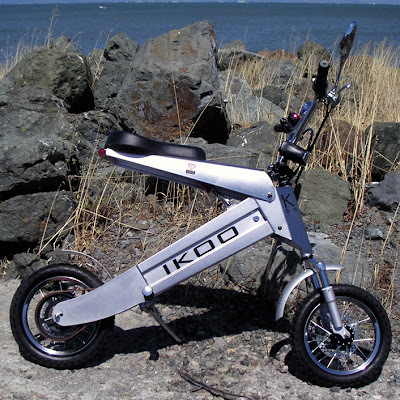 Looking for a great way to maneuver about town, then hop on the cool IKOO. The scooter is a sassy looking little number guaranteed to turn the design geeks head while getting the job done of getting you around town in Eco friendly style. The $900 machine, weighing only 240lbs is built on a surgical steel body and in turn guarantees durability, while offering flexibility of transport with its fold able seat and handlebars. With a quiet 600 W "Equake S6" electric motor and dual disk breaking system you can get a nice ride ranging up to 18mph (going up to 18 miles per charge). 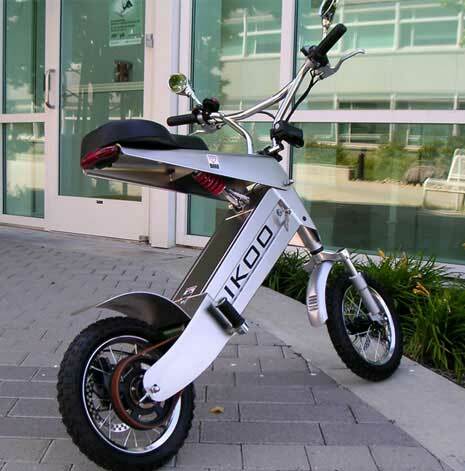 Not exactly for the speed junky, the IKOO is designed instead as a sleek alternative to the traditional scooter; delivering both good looks and and an environmentally friendly ride.